The first thing that hits our mind when we launch our own website, blog site, or mobile app is ENDLESS ORGANIC TRAFFIC. Right? 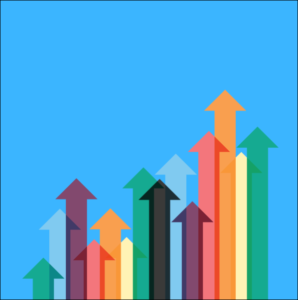 I was so excited to see the upsurging organic traffic and the improved SEO ranking – all possible because of one magical element. The secret sauce that I drove on and surpassed the competition in the market, and enjoyed the limelight in the market. Wondering what that element is? Wish to know how to gain 150K organic traffic on your online portal too, especially in the present competitive market? Well, that secret weapon to drive higher organic traffic and ensure higher ranking in the search engine is keyword research methods. Considering the right keyword search tools and employing them in an effective manner can assist you to enhance your website’s ranking, drive a higher traffic, enjoy better ROI, and more which we will cover this article, followed by the top 20 tools to consider for performing a keyword search. A Keyword is a phrase that makes it easier for the target audience to reach your website via a search engine like Google or Bing. In layman’s language, it is the phrase of the query users make on the search engine that is related to your niche product, service, or market. The more your website content is optimized with the keywords, the more will be the chances of getting discoverable by the users via search engine sites, which eventually means more traffic added to your website and more funds added to your bank account. When it comes to keywords, you can have three types of keywords, namely short, medium, and long-tail keywords, differing based on the number of words included in each. In case you are a newbie to this concept, refer to this blog for better understanding. Now, as you know what keywords and have a glimpse of its importance, let’s uncover about the Keyword research process. As depicted by the name, the Keyword Research is a simple process to find the right keywords for your website and optimized it well for better results. In other words, it’s the process to understand how users search for a particular service, product, or information and how can you add that feature to your website for better outputs. Selecting the right keywords for your website to rank it higher on the search engine and beat the competition is a tough process. You might find it a cumbersome, risky, and time-consuming process if done manually. This is where I suggest you turn towards the Keyword research methods. The Keyword research tools will help you to find the right keywords for SEO for your website with a few clicks and taps. And the best part is that you need not do anything manually. These tools will automatically gather the requisite data (ie: Keyword difficulty, Search Volume …) from different sources and present it to you such that you can find hundreds, if not thousands, of keywords on the same page, along with the related factors and information. In this way, these tools will make it easier for you to choose the right set of keywords for your website optimization. Now as you know what keywords and keyword research tools are, let’s jump to the main section of the article, i.e, the best keyword research tools to consider. How These 20 Keyword Research Methods Will Increase Your Organic Traffic Up To 23%? There are a plethora of keyword research tools in the market that SEO professionals from all the experience level use. Bonus Announcement: Seed keyword here refers to the main or the initial keyword/phrase you consider. 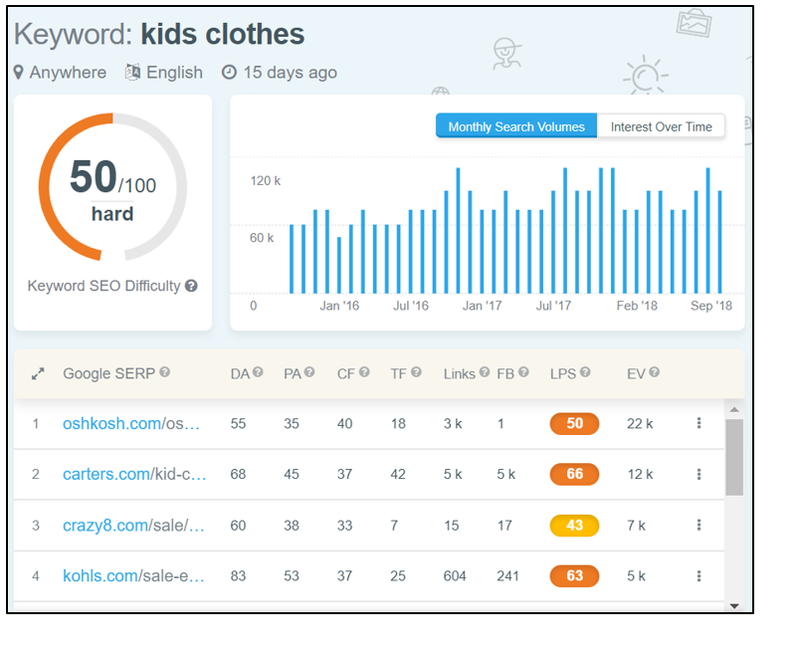 As mentioned in the title itself, SEMScoop – the 8th and all new keyword search tool is also effective enough to consider. This tool, like many other covered above in this article, let you find the right keywords for your website optimization by adding a seed keyword and other parameters like location and language to target. 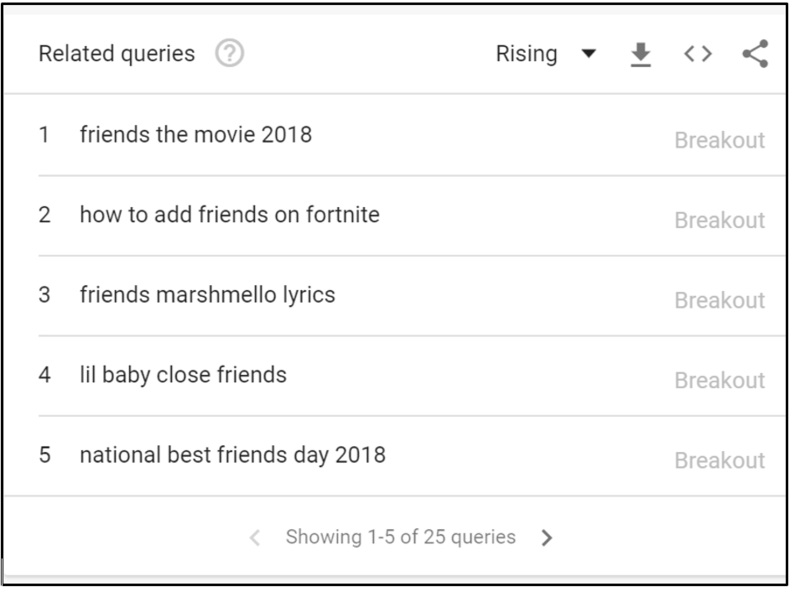 Once done, you can find a complete set of keyword suggestions and the analysis of every individual keyword, including the difficult and search traffic for that particular keyword. Let’s look into the working of this keyword research method with an example. Apart from this, I also found related information like the top search result, link profiles, and social media engagement content on this SEO research tool for keywords. Using this, I can plan the right optimal SEO, Content, as well as Social Media strategy; adding value to the brand. Isn’t it exciting to find all the significant data on the same platform? If so, create an account today and relish the perks of the platform! Google Keyword Planner, a contribution to the SEO world by Google AdWords, is one of the most traditional and the best approaches to find the right keywords for your SEO work. The tool provides you with the best of the keyword suggestions around the seed keyword you enter and make a perfect collection of keywords based on different criteria like competition, CTC, global organic traffic, and more. I can filter out the optimal keywords from a wide variety of keywords available by applying different filters, such as language, location, negative keywords, etc. Tip: If you are a newbie and find tough to decide the seed keyword, enter the URL of your competitor’s site in this google keyword and follow the aforementioned process to find which keyword are they targeting and what you need to consider for a competitive advantage. SEMRush is a real gem for SEO professionals to build effective SEO strategies. 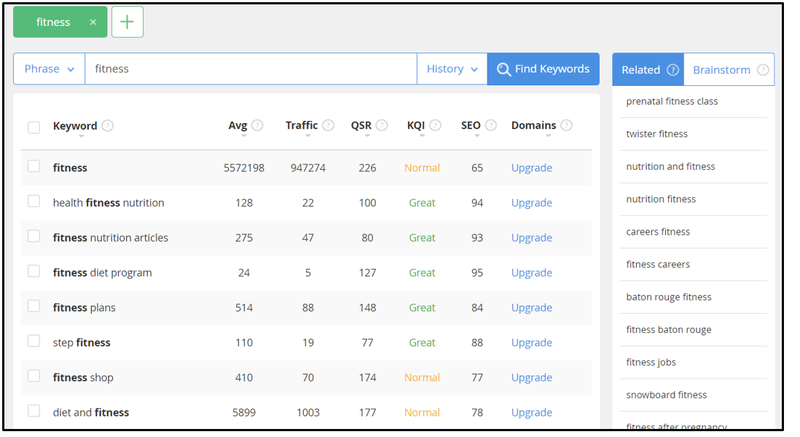 The tool, unlike other keyword research tools, lets you find the keywords your competitors are ranking on and tracking how much traffic they are getting from those keywords. In other words, it takes your keyword search for SEO on the next level; saving the efforts you would have invested in searching the competitor’s investment on each individual keyword and then deciding the right keyword to use for competitive analysis. Sounds different? Let’s understand the process with an example. This way, you can find different other phrases that you can add to your blogs and other shareable content to make a better approach to the search engine. Finding this feature irresistible, are you? Another interesting thing about this website keyword analysis tool is that it also shows other competitors ranking on the same keyword. That means, I need not make the research for every competing site individually. A bigger portion of data can be gathered while performing a competitive analysis of a single website; saving the time, efforts, and cost overall. Ahrefs, with over 5.1 billion keywords from over 200 nations in its database, is a nice website keyword analyser tool. The platform makes it easier for you to find the right keywords to target as well as check the search volume, number of clicks, and other relevant data related to a particular keyword. Like I searched for keywords related to ‘mobile app’ phrase. As you can see in the image below, the tool displays the keyword difficulty, search volume traffic, CTC, and other insights about the seed keyword I entered. As you can see in the image above, the keywords are classified under varied categories, including those newly discovered. You can find the search volume in front of every keyword; making it handy to discover the right keywords for your SEO project. Likewise, this keyword research method also aids you to filter out the keywords using different other parameters like CTC. Neil Patel’s Ubersuggest ranks on the fourth position in this list of the top tools to find the best keywords for SEO. With this tool, you can easily find the relevant keywords for a seed keyword while targeting a particular location. 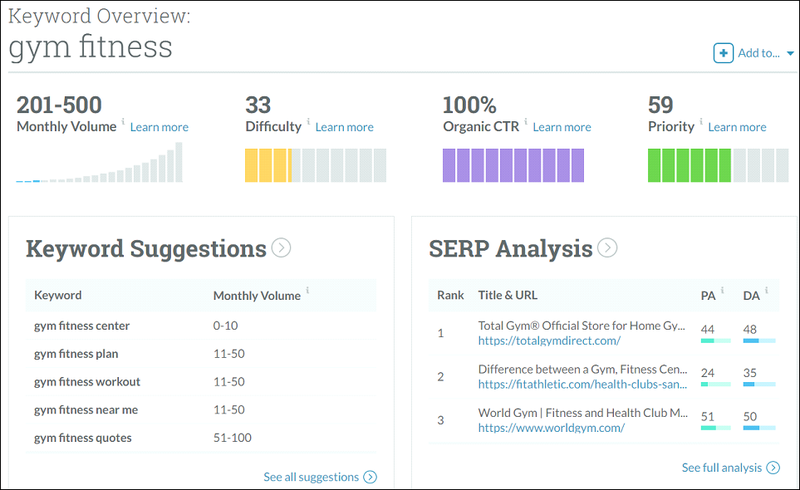 You can also get better insights of each keyword suggestion, such as difficulty rank, competition, etc. With these insights, you can easily determine which keywords have to be added to your SEO keyword bucket and which one to neglect. Like I did in this example. 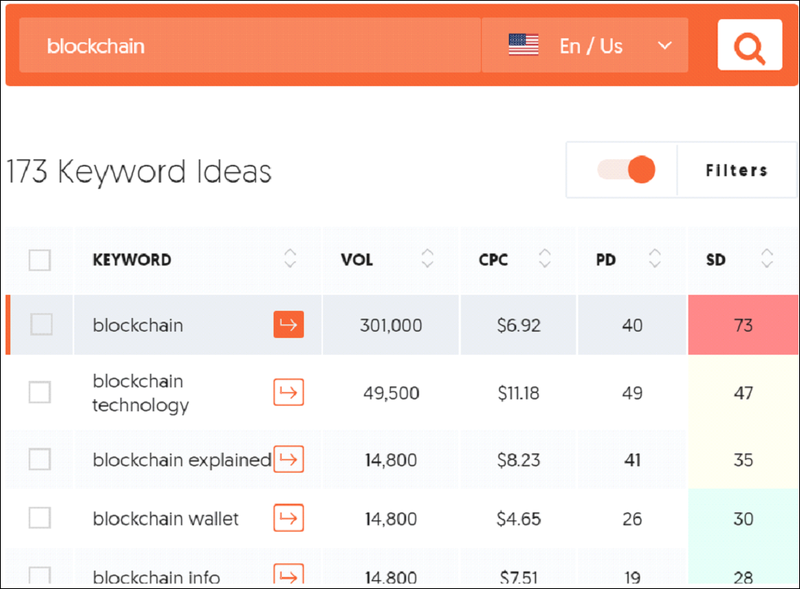 I entered the main phrase ‘Blockchain’ to find the keywords related to it so as to target the audience from the United States, as shown in the figure below. As in the image, I can easily see the search volume traffic on each keyword, the associated CPC and various other data; using which I can easily find the right keywords for my ‘Blockchain’ project. Want to try it today? Visit the website today. 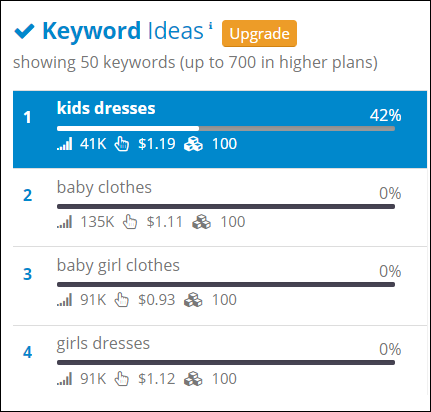 Keywordtool.io is also a great choice when you have to find keywords for SEO projects based on different platforms like Google, Yahoo, Instagram, and Bing. And just the perfect tool to find keywords for optimizing your App page and make your app go viral on the Apple App Store. Does that seem interesting? 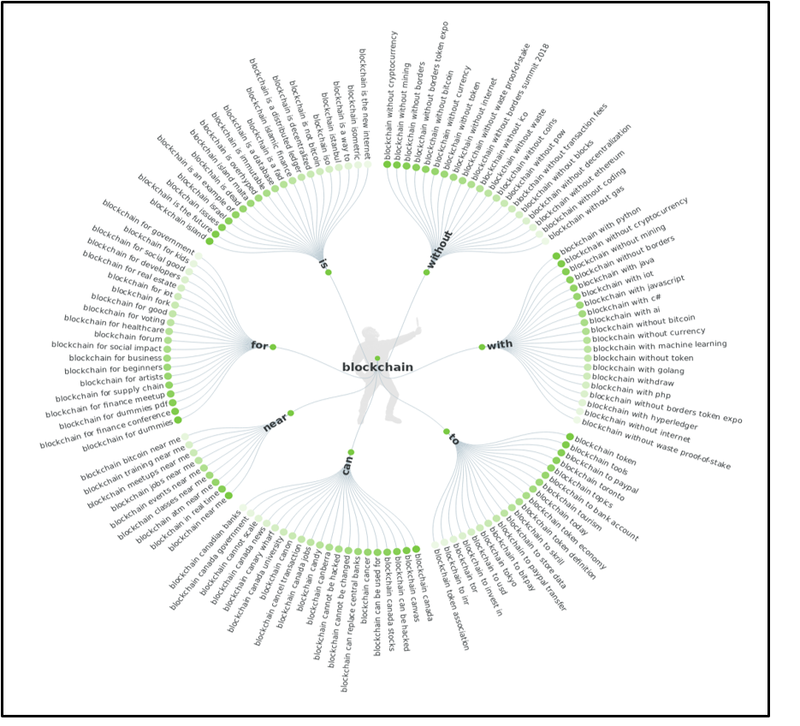 Want to know how to dig out the right keywords using this tool? Reach to the homepage and type the seed keyword. The tool, using the Google’s autocomplete feature, will provide you with different suggestions and cut down the efforts in typing the whole prime keyword. Once you have typed the keyword, select the language you want the keywords associated with, and click on the search button. Once done, you will get a heap of keywords, questions, and prepositions associated with your main keyword. This will ease the process of curating questions to be added to your blog content to make it more user-centric and drive higher traffic. Tip: Though it is a free-to-use keyword research seo tool, you would have to upgrade it to get a higher volume of keywords along with relevant information like CPC rates and competition risk. Let’s understand the concept of working with this keyword search method with an example. 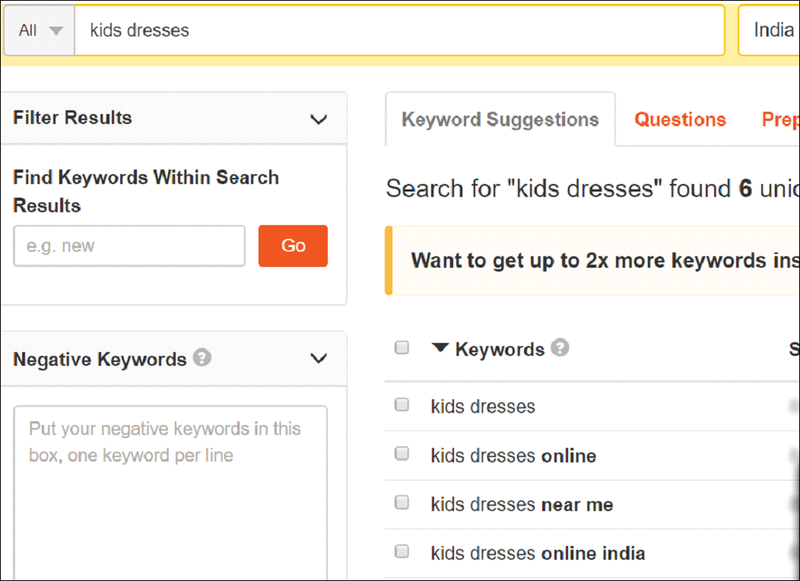 On visiting the site, I searched for keywords related to ‘Kids dresses’ with ‘India’ as the targeted location, and ‘English’ as the targeted language. Another peculiar thing about this keyword research platform is that it allows you to mention negative keywords in a separate box and eradicate them from the list; ensuring a better SEO research process. Another impressive tool to search keywords that I have added to this list of mine is Google Correlate. Google Correlate is a great tool to find keywords pulled directly from the most popular search engine, i.e., Google. It helps you to find what phrases or keywords correlates to the main phrase or seed keyword you have. With this information, you can easily determine which long-tail keyword, or better say LSI is apt to add to your keyword list and do better SEO. 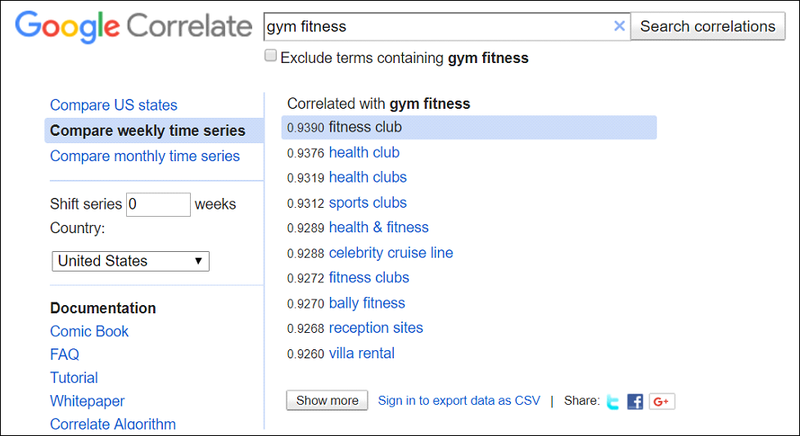 Now, I know that I can add keywords such as ‘fitness club’, ‘health clubs’, ‘health & fitness’, etc. to my blog and other keywords-related SEO things. Another interesting factor is that the platform provides a graphical representation of the search activities of each correlated keyword along with that of the prime keyword I added. Whenever you find yourself confused which keyword can easily replace your seed keyword, try performing a keyword search for SEO with Google correlate. The best thing about Moz Keyword Explorer that makes it land into the best tools to search for SEO keywords is its smart approach. Unlike various other tools, it does not just share a set of long-tail keywords. Rather, it customized them as per the user’s search style and thus, cut down your efforts to frame a particular phrase from that keyword. With this tool, all you have to do is to search for the keyword and insert them into your content directly. Want to hear more about how this keyword search method spell magic into the SEO world? Let’s discuss with an example. 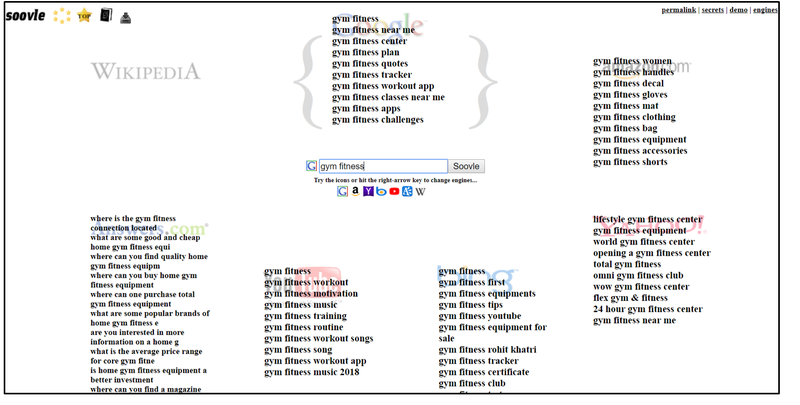 As you can see in the image below, I have entered the seed keyword ‘gym fitness’ to find relevant keywords for my gym and fitness project. As you can see in the image, I can evaluate the relevancy of my seed keyword based on its monthly volume, difficulty ratio, CTR, and other factors. I can find various great keywords to target based on the search volume. In addition to this, I can easily perform SERP analysis; ensuring better results from this analysis. Long Tail Pro is one of the best answers to your query, “how to find keywords”. 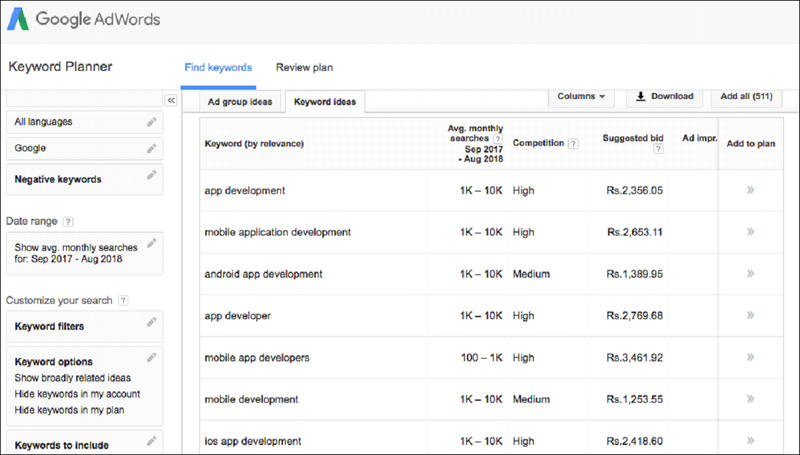 The tool, available on a premium account, aids you to find the right set of keywords that you might have not found with Google Keywords Planner. Visit the official webpage and login via your premium account. Connect it with your Google Adwords account so that you find more relevant keywords. Enter the seed keyword, the target locationand the language you want to see the keywords in, and click on the ‘Find Keywords’. 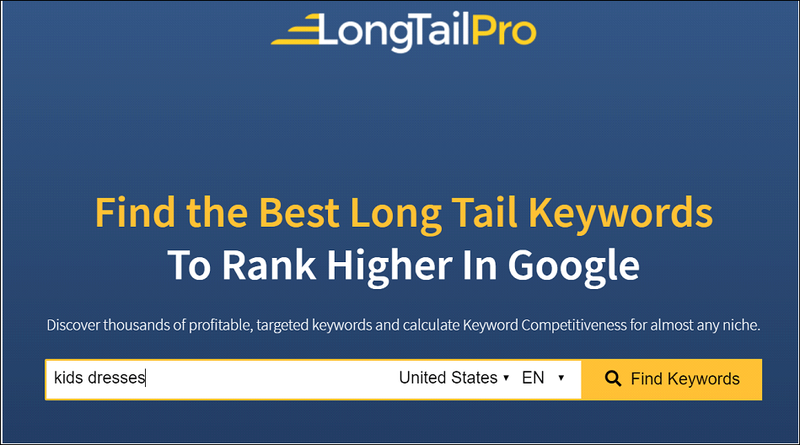 On doing so, this Google keyword search tool will present you a list of long tail keywords which are customized as per your project needs. You can further filter them out based on different options like targeted country, range of searches per month, Google and Bing title competition, EDM (Exact Match Domains), etc. 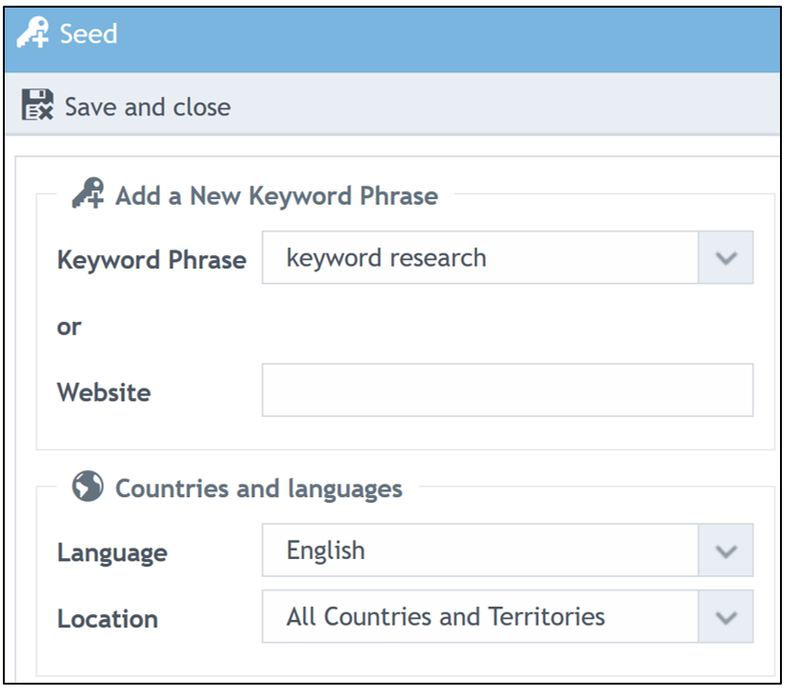 Tip: You can get around 800 medium and long tail keyword by searching for a single seed keyword. But, to ensure you get the best of the opportunity, use those keywords as seed keywords and filter out the results gathered. Wordstream Free keyword tool is also an effective, user-friendly and free keyword research tools that I recommend for making searches. The tool supplies you a complete set of keywords on entering a seed keyword as per your niche industry. And the plus point is that this keyword search platform sends the list of keywords directly into your inbox on sharing your email address with the platform. Isn’t that handy? Reach to the platform, enter the prime phrase, set the search location if you are targeting any, set the targeted Industry, and tap on the Search box. If you are targeting globally, go with ‘All’ option. 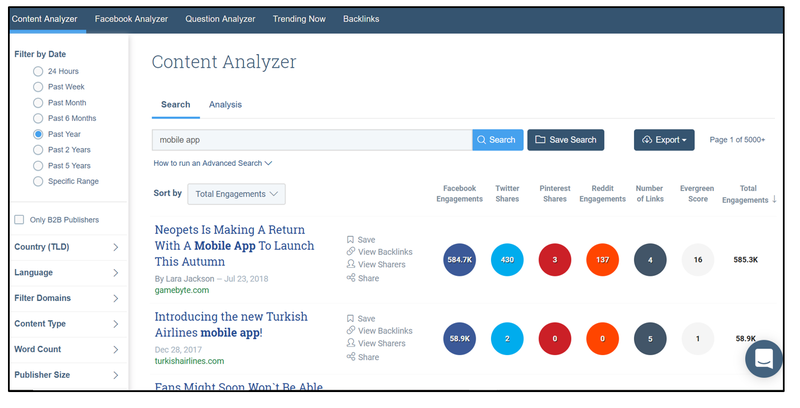 Buzzsumo can also help you to find out what keywords to opt by providing you with the list of the top trending contents. Through these content, you can find the right keywords to focus as well as understand the kind of content you need to write to surpass the competition. Also, you can check their backlinks and make a better approach to promote your content. In other words, the tool helps you in two ways – providing you with the right keywords as well as taking your content strategy to the next level. Eager to know how it works? By clicking on the link, I can determine what style of writing I need to try. I can save them for later or share with my team to start working on it. Also, by clicking on the ‘View backlinks’, I can find the sites from where the content has taken a backlink (as shown in the image below). Ready to plan your content strategy now? TIP: Though I have made a normal research, you can customize the search by filtering as per the date, language, content type, word counts, and much more. Soovle is a one-stop platform for searching for keywords from different sites like Google, Bing, YouTube, Amazon, etc. You can search for what SEO keywords to use for different sites in one go and build a better strategy. And the best thing is that you can find various tools that might have been overlooked by your competitors; implying a competitive advantage in the business world. 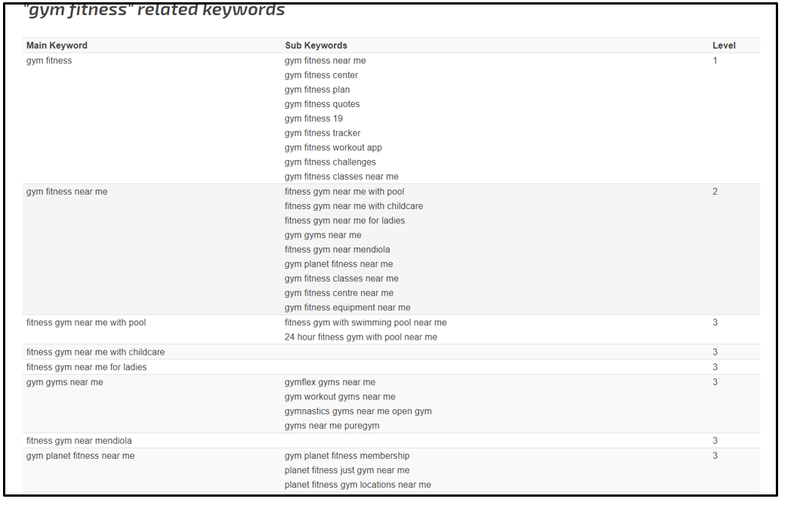 For example, I searched for the phrase ‘gym fitness’ in this tool and here are the keywords I found to target every single platform. Isn’t this so easy to research keyword to improve your brand presence on different sites? Try now itself. KWFinder is also an easy and quick tool for a searching keyword that fits your website optimization strategy. All you have to do is to land on the homepage, enter the seed phrase, choose the country you want to target, the targeted language, and click on the search button. The tool will render you a set of SEO keyword according to their SEO difficulty ratio and the top websites you have to compete, simplifying your competitive strategy. For example, I searched for keywords associated with the phrase ‘Kids dresses’. Still, need a reason to use this tool for keyword search? SEO Chat Suggestion Keyword Finder is a perfect, free SEO keyword research tool with its 3-level approach. In Level 1, you will find basic keywords, while you will get deeper insights and completely impressive keywords in Level 2 and Level 3. In this way, it enables you to consider even the most overlooked keywords and build a strong SEO strategy. Let me explain this to you with an example. I searched for the phrase ‘gym fitness’ with ‘Level 3’ as the choice for keyword search. See, isn’t it simple to use? ● Entering the URL of the website. Select the keywords you find suitable for your product/services and begin working on your content strategy. An appropriate answer to how to find keywords for SEO for free is Keyword Eye tool. The tool empowers you to dig out the right keywords based on different criteria, such as language or country. It also calculates and analyses the potential of every particular keyword, along with related keyword data in visually appealing formats. Want to see how it make keyword searches? Login into your account on Keyword Eye and click on ‘New’ tab. Enter the seed keyword, as I searched for ‘golf’. Select the country you want to target, the order of the result, number of results you want to see and click on ‘Run Report’, as shown in the image below. Select the desired keywords and click on ‘Add’ button. All these added keywords will be displayed on a separate sheet, as shown in the image below. You can download this report and begin with your content optimization process. Isn’t it easy? SECockpit is another effective SEO keywords search tool that offers you a comprehensive list of results for a single seed keyword. However, what I like the most about this keyword tool is its built-in features with which you can do an in-depth search of organic competition, traffic estimates, trends, and more. In other words, this keyword research tool solely can provide the SEO professionals with a heap of data that will streamline their processes and upgrade the ROI. Let’s look into its working. 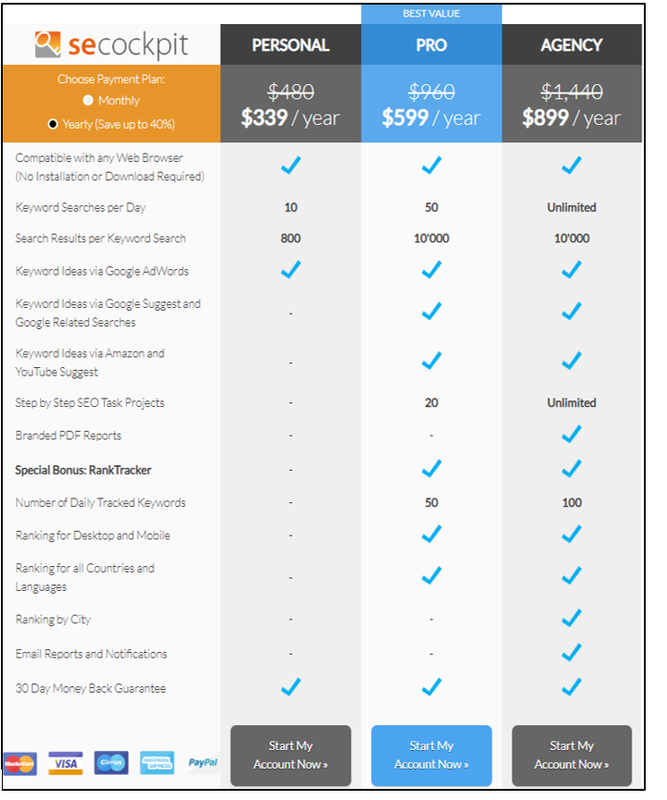 But before that, create an account on the platform, for which you will have three available option. Choose the one that fits your approach. When you log in, jump to ‘Start a Keyword Search’ and enter the keyword of your website for keyword analysis, and click on ‘Save and Close’ button. Once done, you will get a complete set of keywords with their monthly searches, top searches, CPC rate, and relativity with your niche. This way you will come across those keywords that are a good choice for your niche industry; lowering down your efforts of analyzing. 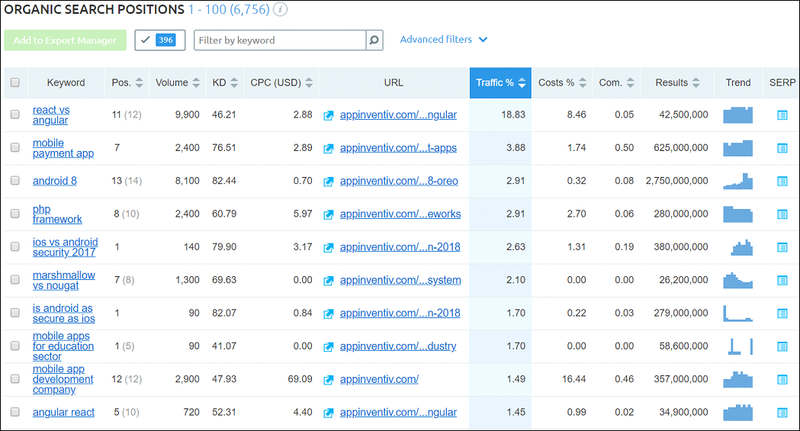 Apart from this, you can dig far more valuable data by selecting the right parameters for filtering, like keyword countries, daily visitors vs competition visitors 1-3, on-page domain KW, etc. Does that sound interesting? Which filter would you love to apply? It is another remarkable SEO research tool to use for unveiling the low-competition keywords and making a better SEO approach. Keyword Revealer enables you to type a single seed keyword and apply the required filters to untap the appropriate keywords instantly. You can also check the difficulty score of each phrase and perform the Google keyword analysis to brainstorm as per the user purpose. I can analyze the strength of each particular keyword and choose the right keywords for every project. Besides, you can also check the Google Top Ten Ranking of the related sites, which can help you to determine which keywords to opt. 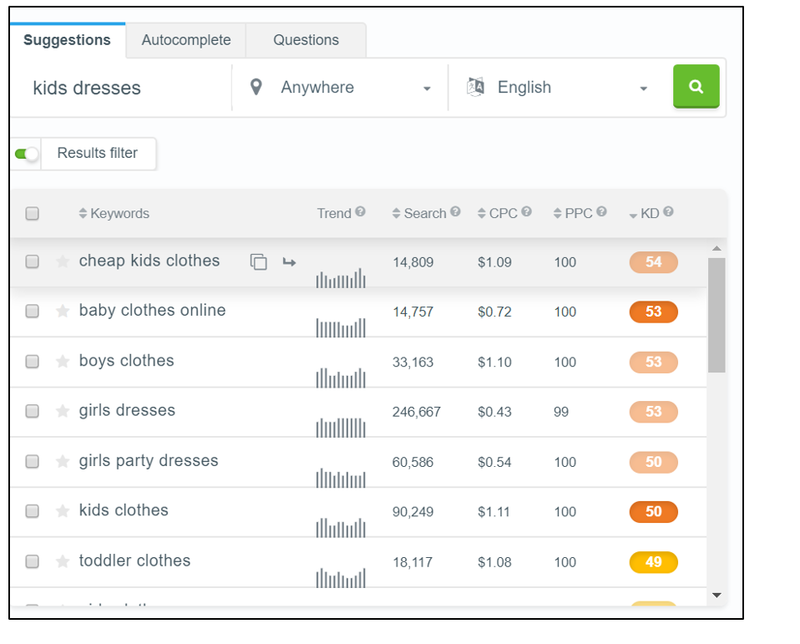 Answer the Public is yet another handy keyword research and analysis tool to work with. The tool merges the suggested searches from Google and Bing and organizes them into different categories. In this way, it simplifies the process to pick the right long tail keyword for your website. Let’s have a look at how it works? 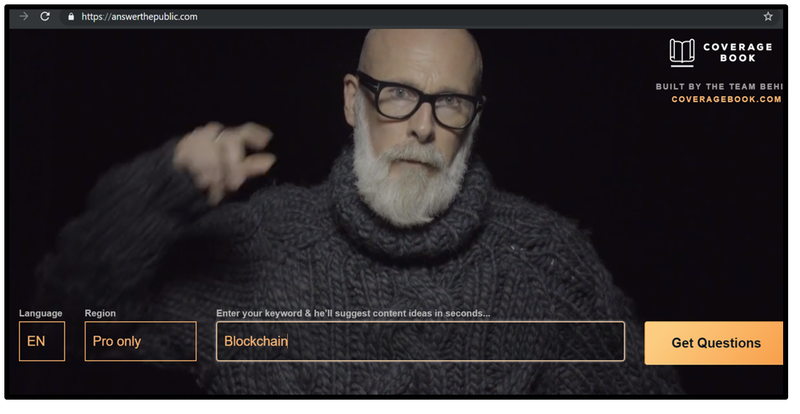 When you reach to the homepage, a white-bearded bloke, Seeker will greet you with a search box. Enter the term related to your website and click on the ‘Get Questions’ button. You will sooner find a complete set of queries containing who, why, what, how, where, which, are, when, is, for, can, with, near, without, and to. Also, you can find a complete glossary of Google Autosuggestions in alphabetical order. Using this information, you can enrich your content strategy with a user-centric approach. Isn’t it an amazing gem? If you too are impressed by the working and result of this tool for searching keywords, try it today itself. ● Bloomberry shows real questions and topics that people have already covered in the blogs and forums; not those which can be asked. ● Bloomberry is created by the Buzzsumo team, which implies you will get those keywords which will go with the trending content strategies. Isn’t that a great thing? To level up your happiness, let me share that the Bloomberry is really a useful tool to create contents that can be featured in Featured Snippets. I know you must be shocked to see Google Trends in this list. 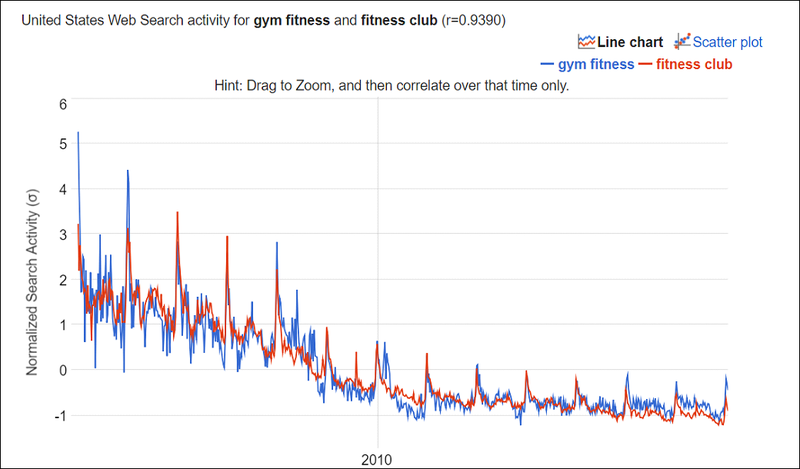 Google Trends is one of the underutilized keyword research tools to turn towards for better outputs. The tool avails the trending keywords for website optimization in two ways. Firstly, you can enter a particular keyword in the search box and find the related searched phrases. Secondly, you can enter a specific keyword to check its popularity with time, based on different factors like region, time, categories, etc. In this way, you can pick only those short, medium, and long-tail keywords that could add value to your website. The best part of using this keyword research tool is that it enables you to check the real-time market demand of each keyword. With the insights gained, you can easily avoid working on the keywords that are outdated, and thus, take a profitable step ahead. 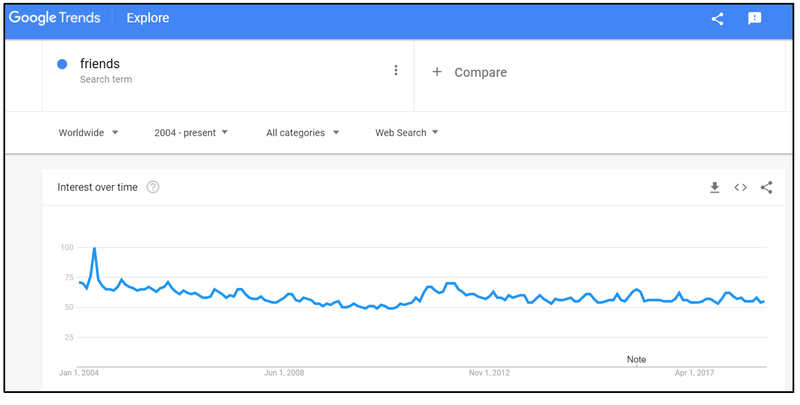 Have you tried Google Trends ever? Share your experience. With this, here are the 20 most effective Keyword research methods that are popular in the market and recommend by me. As you can conclude, I have strived to provide you with both the free and paid available keyword research tools to fit into your budget. I have tested and tried each of the tools while writing this article (and even before) and with experience, I recommend using one free and one paid tool for better results. For example, you can use SEMScoop as the premium tool and KWFinder or Answer the Public as the free tool for getting better outputs from your keyword hunting. You can find the basic keywords using the free tool while find the hidden gem using the paid keyword research and analysis tool – resulting in most accurate and quick response. Also, I would love to share that do not consider the budget or organic traffic as the prime factor while selecting an SEO keyword search tool. Pay attention to the other factors as well for getting the best perks of the opportunity. Bonus Tip: The Google algorithm and user preference keep on changing. This implies keyword research is not a one-time event. To survive in the market and improve your website ranking in the search engine, you need to perform the research more often. Do use these tools and find what are the trending tools to target in the current scenario. Add them to your keyword bucket and update your content all over. This will regenerate your content and help you drive higher benefits. Besides, it will help you to look into what your competitors are doing to get ahead of you and how you can counteract. Also, you need to work with diversified keywords, especially when targeting different locations and users from different walks of life. This experiment will help you to have a better impact on the market and drive higher ROI.Do you find this article useful? Have I missed any significant seo keyword research tool? Or you have any query regarding any of the options mentioned above? Do let me know in the comment section below. Also, share your thoughts on which tool you are planning to choose, whether you are going to pick one paid and one free tool like me or have some other strategy, what all ways you are going to employ a particular keyword search tool, and so on. I would love to hear from you. Co-Founder @SEMScoop & Digital Marketing Expert, I have passion for web, search & developing. I work with different companies & agencies helping them to grow their business & online presence. Love reading, football & running. Have an idea and want to see it live ? Drop me a pm. 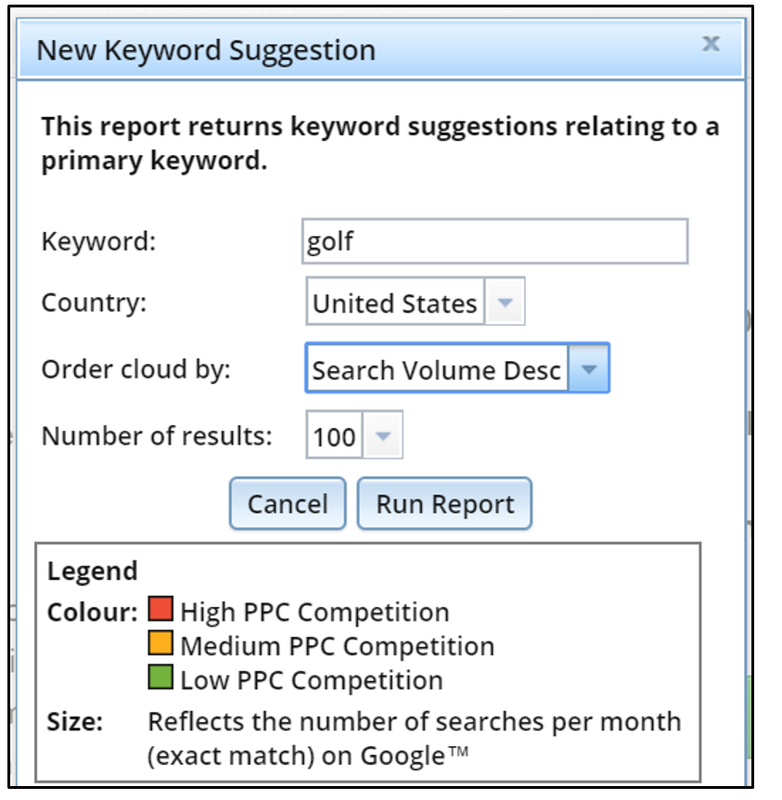 Lots of great keyword research tools in this list. I think Google Keyword Planner is my least favorite keyword tool these days, since the focus is mostly on the ad buyers researching for what keyword terms to bid on.